Enthusiastic and personable, Lauren Sencion prides herself on being able to match her clients’ needs, personalities, and tastes to make the right move with real estate. With an extensive list of clients worldwide Lauren has dealt with big company investors to first time home buyers. Lauren was raised as a young child in Key Largo, Florida. After moving to Cincinnati, Ohio she completed school and studied at University of Cincinnati. Always feeling like a Florida native and missing the beautiful Florida sun Lauren decided to relocate back to her one time home in 2006. 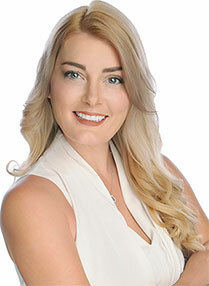 Always having an interest in Real Estate Lauren decided to become a designated Miami Realtor Specialist. Lauren’s business savvy and high-level of knowledge regarding the luxury real estate market is difficult to compete with. She is committed to guide her clients with the utmost professionalism throughout what is usually a stressful and complex transaction and to make the experience seem smooth and pleasant. In 2014 alone Lauren single handedly helped more than 100 clients relocate, buy, sell, invest, and rent. Lauren is a member of the Miami Dade National Association of Realtors and acts according to a specific code which guarantees the optimum level of service for your real estate needs. A strong negotiator who prides herself on her trust she has earned from her clients. Whether you are a first time home buyer or you interested in gaining portfolios for investment opportunities Lauren Sencion services her clients in the same way.